Lunch & gas up in Astoria. ~2 stops in-between to stretch, etc. 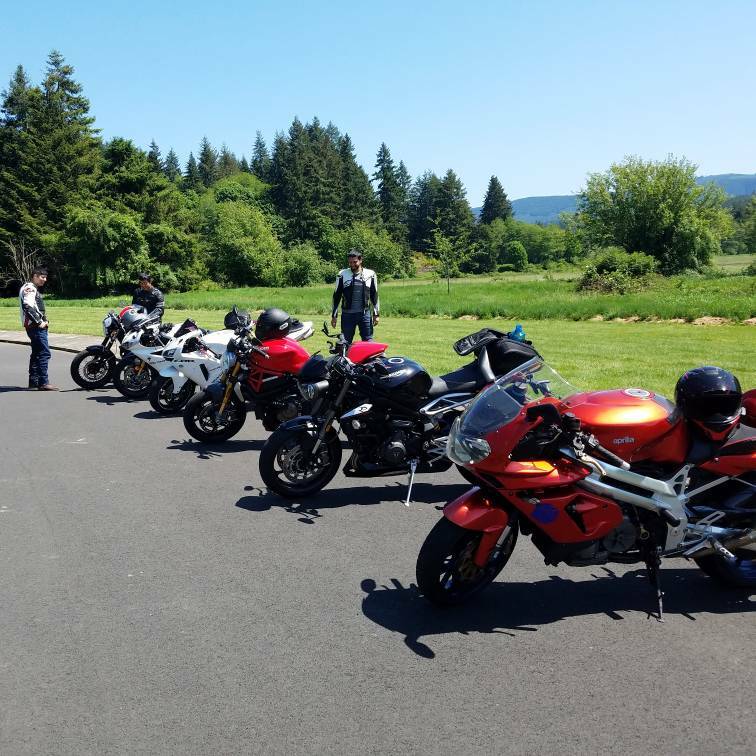 Route: Nothing exotic, head out Skyline + Scappoose/Vernonia + 202. Route back will be a little longer to incorporate a few more roads. Definitely welcome more experienced riders joining and/or leading if so inclined. Please let me know if you are interested in coming! Great ride Greg! Glad you were able to scrounge some people together on a busy weekend. Nice group of bikes. Weird to have zero Yamaha Kawi or Suzuki's haha.